Are you getting the most out of your blog content? How about I give you 5 ways to reuse blog content to the max?!? You spend hours on each post, researching information, looking up keywords, finding photos, creating graphics and all the other details that go into writing a blog post. You publish, then you share on social media, and you move on. What if there could be MORE life from that hard-earned work! Yes, there can be and should be! Just a note…you are going to start seeing some shifts in my podcast episodes as I broaden my podcast focus. I’m going to focus on web, social, and business as I have, but I’m going to more intentionally focus on a few key areas that have grown in importance for me: Fitness and Mission. I’m all about having each of us living life to the fullest and that happens best when we are healthy and have a focus and mission. I’ll be sharing stories from my journey and what I’m learning along the way! 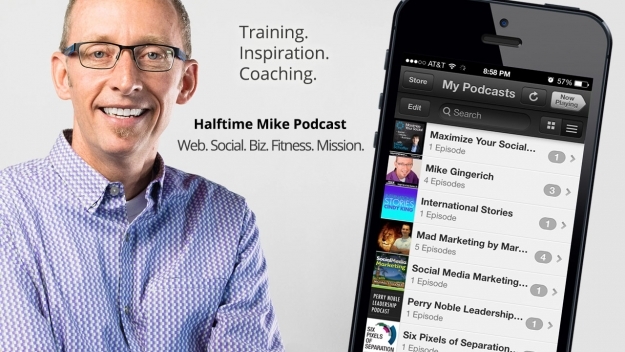 Subscribe: Halftime Mike on iTunes | Android users via RSS | Listen on Stitcher. Are you getting the most out of your blog content? Repurposing your blog content is one of the most efficient ways to use your resources. Here are a few ideas to get you started on great ways to repurpose your blog content. Does your blog post have short, sweet snippets of information and data points? Leverage this formatting for infographics that add visual appeal to your content. Create shareable infographics that are well suited to embed on other websites and social media profiles. Chances are, you publish a lot of blog posts on similar topics. With a little effort you can pull these posts together, write an introduction, and group them into full chapters. Now you’ve got a Ebook and it can be used to grow your email list as a Call-to-Action (CTA) on your website! Your readers get a convenient way to consume a large amount of your content through one file, and you get a high-value asset to use as a lead magnet. Syndicate your high-quality blog posts. LinkedIn Publisher and Medium for example are hosted blog platforms where you can re-use your post and reach audiences who spend time there. Some blog post types work well for different formats, such as a transcript for a podcast post. Simply record yourself going through the blog post and sharing the information as it was written or presenting it in a different form or with variation. Maximize your ROI by repurposing your blog post content. When you think outside the box, you can come up with dozens of repurposing ideas for your content marketing strategy. LISTEN TO THE PODCAST! This is just a sample of the goods I deliver to help you get on track, think through your key online changes and what you need to do this year to succeed. Identify your “one thing.” What’s the next single thing you need to take action on that you learned today? Share below! Join me LIVE! I’m live every Tuesday at 12 noon Eastern Time on Facebook. Find the show at Facebook.com/digitalhill. Please let your Twitter followers know about this podcast. Simply click here now to post a tweet >>. 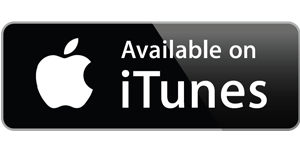 If you enjoyed this episode of the Social Media Marketing podcast, please “go over to iTunes, leave a rating, write a review and subscribe! Why the Halftime theme Mike? I’m an Indiana Hoosier native where basketball is the top sport. Every team heads to the locker room at halftime to evaluate the first half and create an updated plan for the second half. That plan includes adjustments based on reviewing what worked and what didn’t. The “halftime” is a key review point where the game stops, the team pulls away to huddle in the locker room away from the fans, and they come out prepared and ready to succeed in the second half. That’s what this podcast is all about, taking the time to pull away for a bit to evaluate, learn, and set some strategies for your business to succeed in the second half. Join me by subscribing and let me be your “business halftime” to help you find great success going forward! Catch all the episodes of Halftime Mike by signing up for inbox delivery below! Need help planning your Social Media and Online Marketing? Contact me!